The Legend of Zelda: Breath of the Wild is the game that reinvigorated my love for the Zelda franchise. 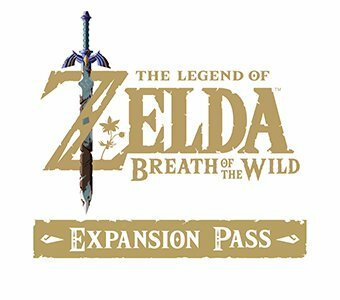 It brought back the elements of freedom and exploration that haven’t been present since the first Legend of Zelda while also introducing never-before-seen features to the series. Breath of the Wild’s final DLC expansion, The Champion’s Ballad, acts as a perfect send-off to Breath of the Wild and offers another glimpse into the world that it created. The Legend of Zelda: Breath of the Wild: The Champion’s Ballad (Switch) – gameplay images provided by Nintendo for this review. Unlike the Master Trials DLC that came before it, The Champion’s Ballad fits into the plotline of Breath of the Wild and can only be accessed after clearing all four of the Divine Beasts. The main quest of The Champion’s Ballad has players seeking out additional trials scattered around Hyrule. What really helps to separate this from Breath of the Wild’s previous expansion is that it offers extra time with Hyrule’s four champions as they agree to take on Ganon. It doesn’t add a whole lot but there are some cool scenes that help each character to stand out a little more. An unexpected surprise to come from The Champion’s Ballad DLC is the master cycle zero. After clearing the new DLC storyline, players are rewarded with a rune that gives players the ability to summon a rideable motorcycle. It’s a slightly bizarre but awesome experience to ride around Hyrule on a magical motorcycle with the ability to perform jumps. Beyond its place in the main story, The Champion’s Ballad also brings with it a number of call-backs to other Zelda titles through obtainable armour sets. Three-piece sets of armour making up costumes such as Ganondorf’s iconic Ocarina of Time outfit or Link’s Offset Island clothing from Wind Waker can be found in different parts of Hyrule. Finding certain pieces can be difficult, however, and while the game does offer a hint for each piece, players who have spent more time travelling through the game’s world will have a much easier time tracking them all down. With all of its content, The Champion’s Ballad encourages the same level of exploration and discovery that the base game introduces while also offering some of the best shrine trials that game has to offer. Players who know their way around Hyrule will have an easier time with the new content, but a part of the beauty behind The Champion’s Ballad is that like the rest of the game, players can explore freely at their own pace. The Champion’s Ballad acts as a perfect tribute to both Breath of the Wild and to the Zelda series as a whole. Liked this article and want to read more like it? Check out more of Remington Joseph’s reviews, such as Zwei: The Ilvard Insurrection, and Dragon Ball Xenoverse 2! The Champion’s Ballad acts as a perfect tribute to both Breath of the Wild and to the Zelda series.